How to Convert MKV to WebM with Paid and Free MKV to WebM Converters? How to Play MP4 on Chromebook? How to Play FLV Files on Chromebook? How to Transfer AVI to iPad? "I was told that WebM is a subset of MKV. What does the WebM contain while MKV doesn’t? Can I play MKV files with my WebM player? Or should I still need to convert MKV to WebM for I could play it on WebM player?" This might have confused a lot of people just like the one who posted his question to me above. Though the WebM container is based on a profile of Matroska, there are some differences between these 2 formats. In this guide, we would like to discuss the main differences and show you how to convert MKV to WebM with paid and free MKV to WebM converter tools. To get to know WebM and MKV, let’s firstly start from their definitions. As we all know, WebM is an audiovisual media file format. It is primarily intended to offer a royalty-free alternative to use in the HTML5 video and the HTML5 audio elements. It stores video compressed using VP8 technology and audio compressed using Ogg Vorbis compression. As we mentioned above, this file container is based on a profile of MKV. On the contrast, MKV(short for Matroska Multimedia Container) is an open standard, free container format, a file format that can hold an unlimited number of video, audio, picture, or subtitle tracks in one file. It is a universal format for storing common multimedia content, like movies or TV shows. Since MKV is a container format, you don’t know what are included in this container. It might have VP9 video, or H.264 video, or MPEG-2 video, no video, or indeed multiple kinds of video at once. It can carry many different audio codecs, different subtitle types, links to external chapters, and file attachments (such as fonts for SSA subtitles). But if you have a .webm file (and if the source claims it’s a valid WebM file), you can tell just by looking at its name that it promises to contain something understandable by any WebM player, as required by the WebM spec. This would be the main difference between these 2 file formats. From the above information, we would know that WebM files and MKV files have some significant differences, and sometimes your WebM player would not play MKV files. Therefore there is a reason for you to convert MKV to WebM for playback. We would firstly recommend you Leawo Video Converter, a practical and easy to use video converter tool that could convert video and audio files between 180+ formats for diverse uses, including MKV to MP4, MKV to WebM. Far more than a simple MKV to WebM converter, Leawo Video Converter provides multiple wonderful features like 3D creating, watermark adding, etc. The below steps would show you how to convert MKV to WebM file in detail. After launching this Video Converter (officially named Pro. Media on the program), open the “Video Converter” module. Then directly drag and drop your MKV files into this program. Click the button before the big reen “Convert” button. You will see 3 different options. Choose “Change” option. Now you’ve come to the “Profile” panel, where you could select VP8 Video as output format under the “Format > Common Video” group. You could make use of the search bar on the left by searching either VP or WebM to quickly get VP8 Video profile. This is optional. You could skip this if you don’t want to edit MKV files, but it could help you create 3D movies, add watermark, adjust effect, etc. 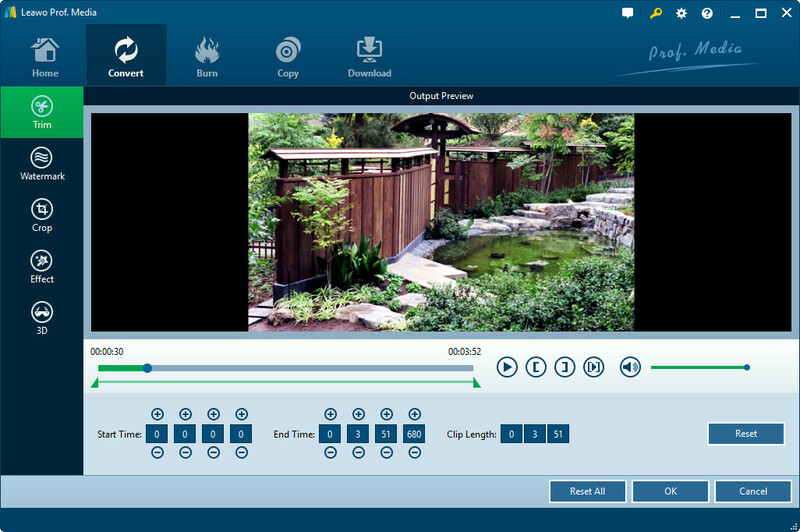 Right click the loaded MKV file and then choose “Edit” option to enter the editing panel, where you could trim video length, crop video size, add image or text watermark, adjust video effect, apply 3D effect, remove noise, etc. Now, you need to set an output directory for your output WebM files. Click the big green “Convert” button on the top right corner. Then set output directory in the “Save to” box. Finally, click the “Convert” button at the bottom of the sidebar to start to convert MKV to WebM files immediately. After conversion finishes, you could then watch MKV files on your WebM player freely. With the paid MKV to WebM converter, you could easily convert MKV to WebM files on your computer. Is there any free MKV to WebM converter to do this? Of course yes. Here we would like to recommend you an online video converter that could perform as free MKV to WebM converter online. That’s CloudConvert, an online free video converter that could help you convert video online for totally free. 2. 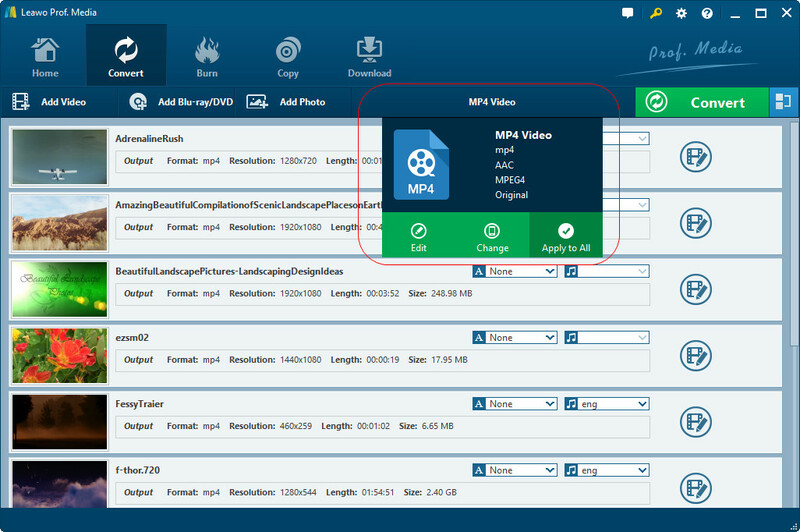 Click the “Select Files” button to browse and upload MKV files from your computer. 3. Click the “Start Conversion” button. When the conversion is finished, you only need to download the converted MKV files (now in WebM file) to your computer. You could even save the converted files to your DropBox, Google Drive or One Drive. It’s quite easy but depends highly on the Internet connection. Which one would be better, the paid one or the free one? We shouldn’t simply think that the free ones always surpass the paid ones. The below comparison would show you some detailed information.